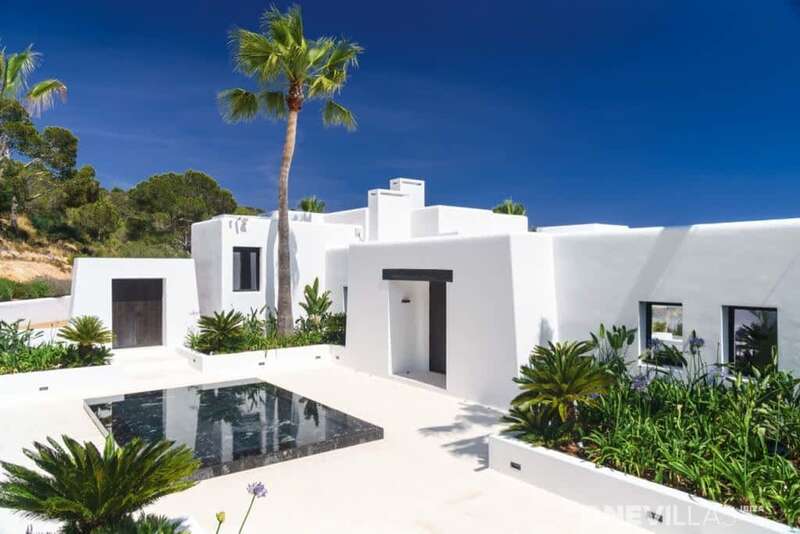 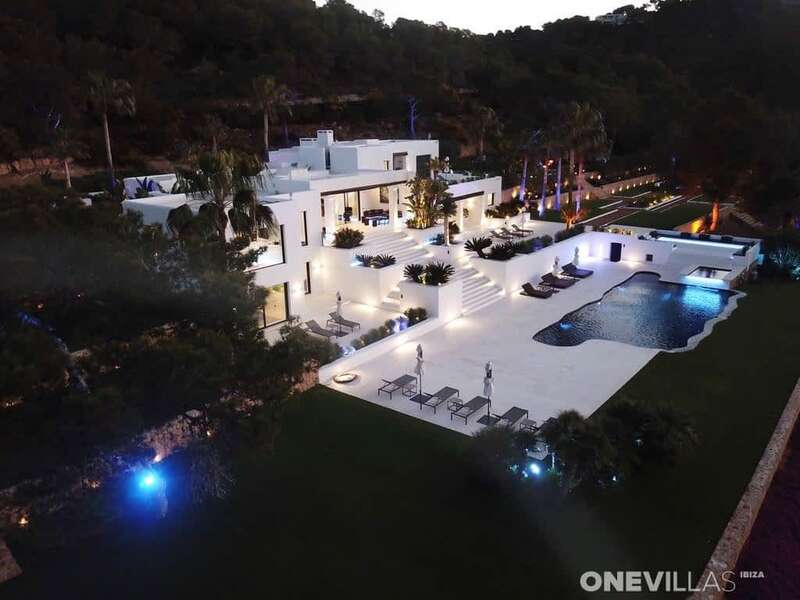 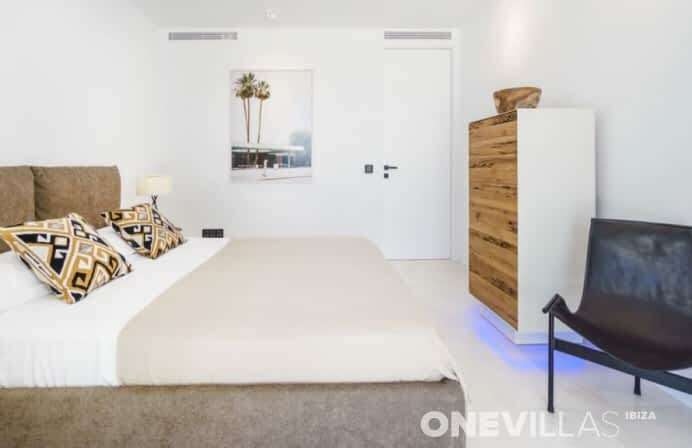 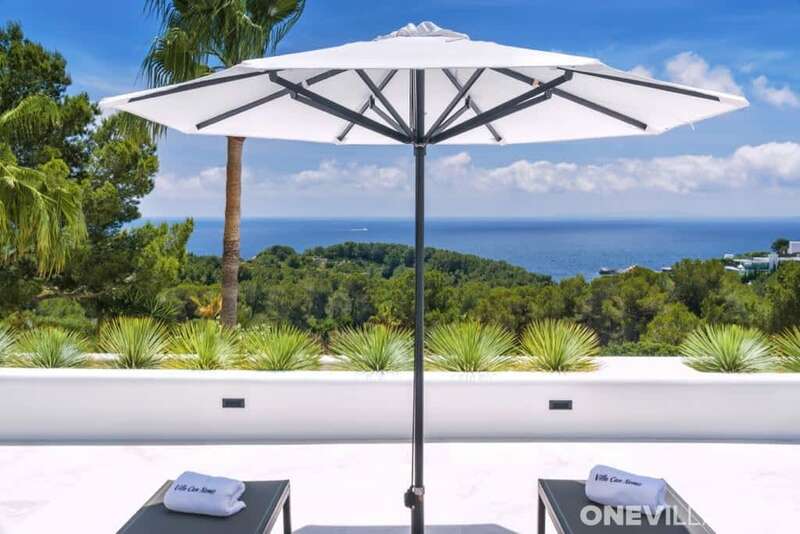 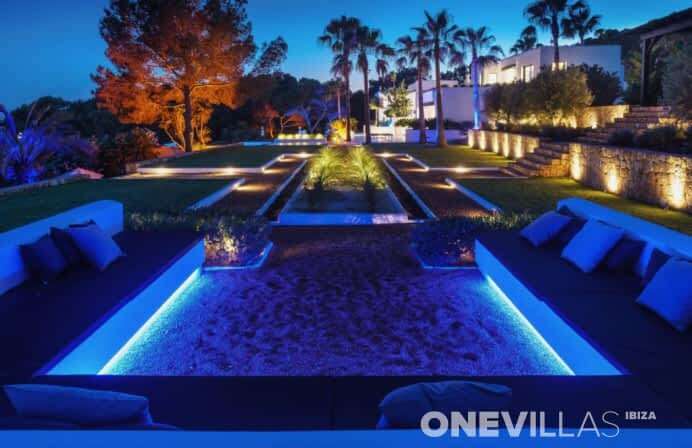 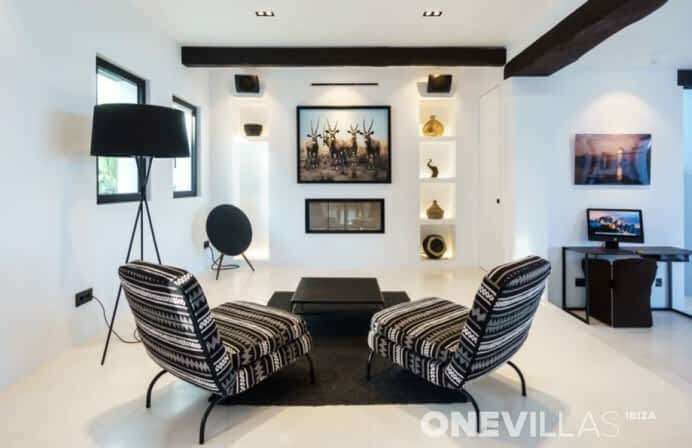 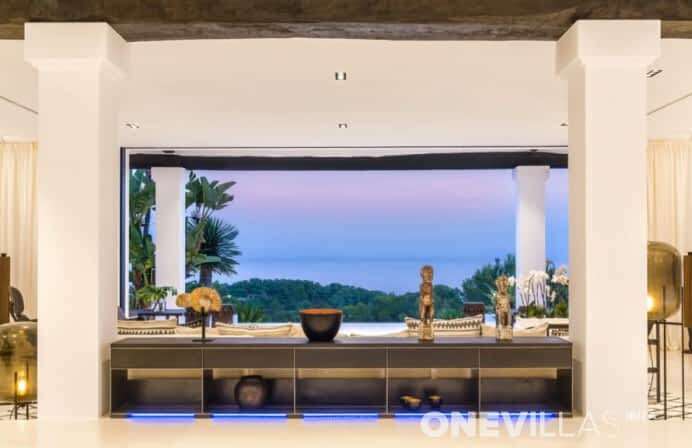 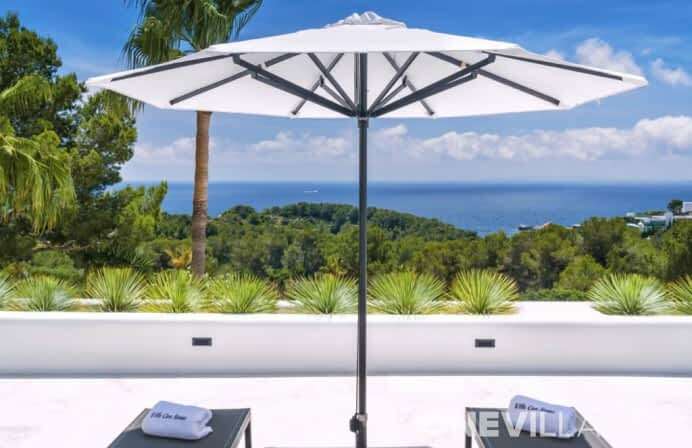 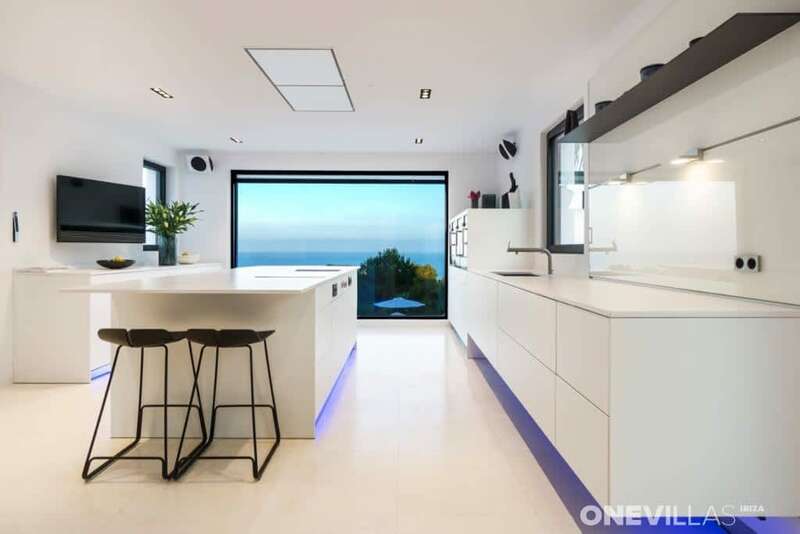 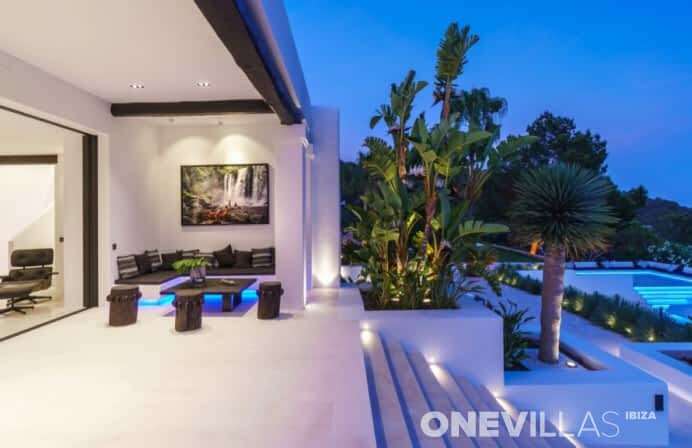 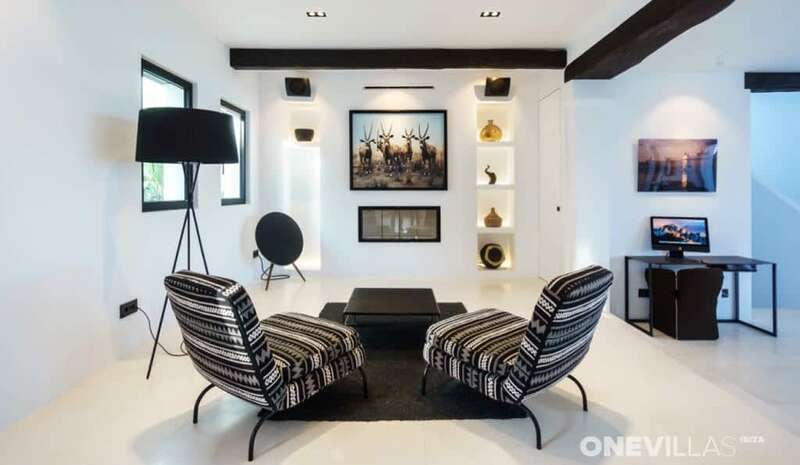 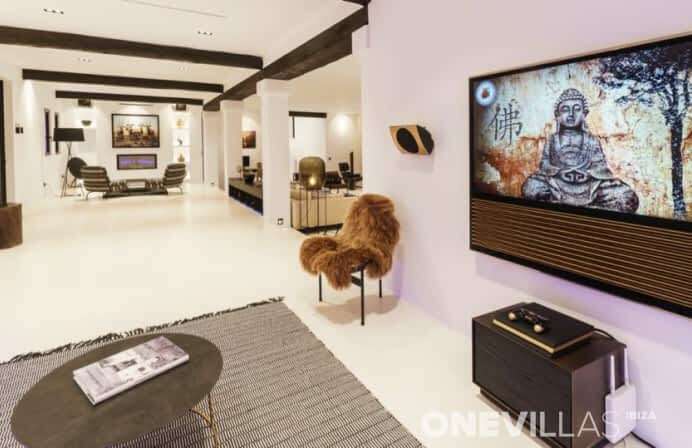 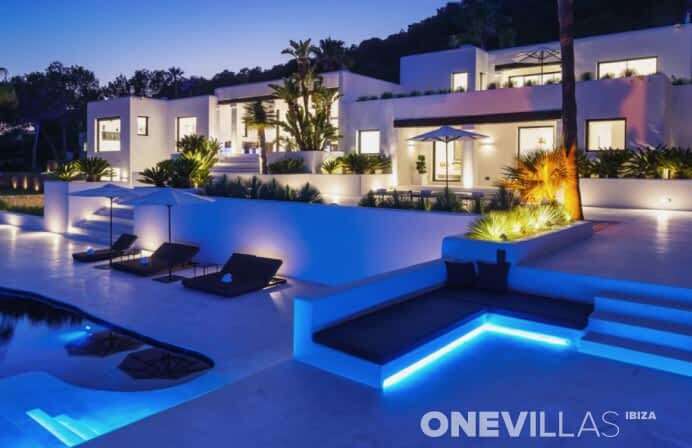 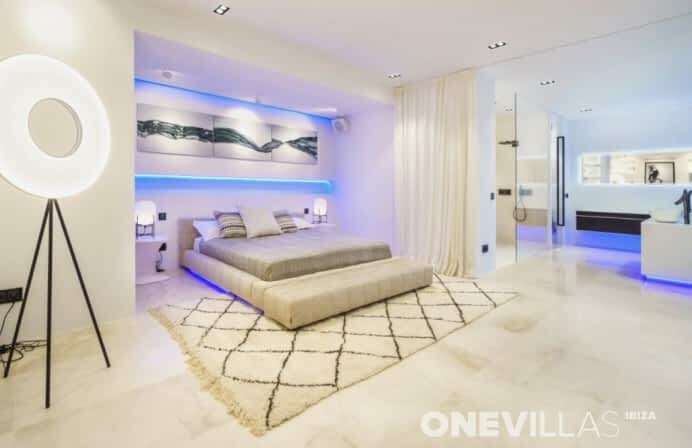 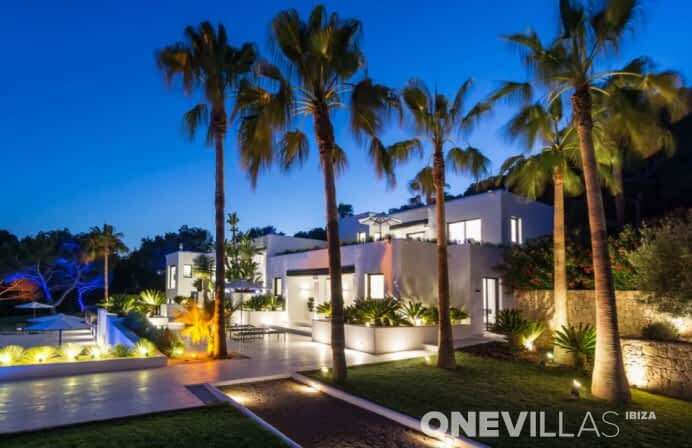 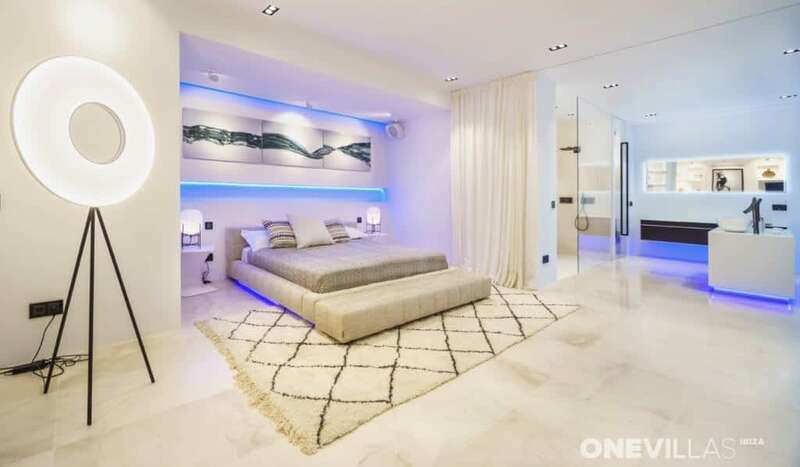 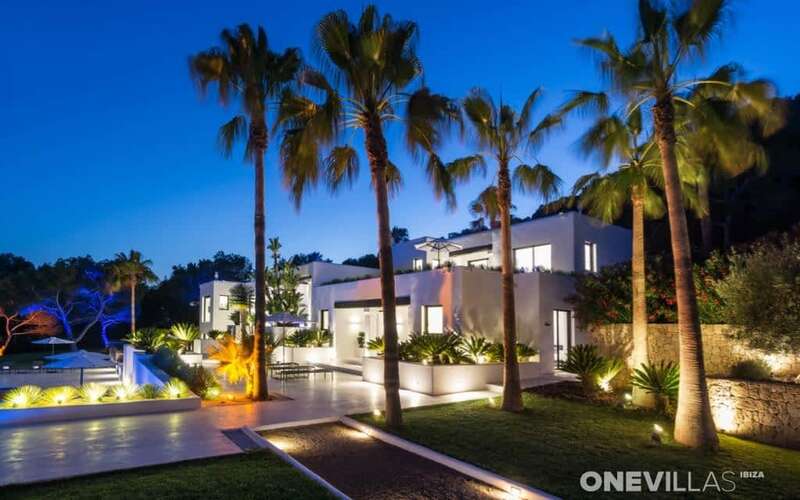 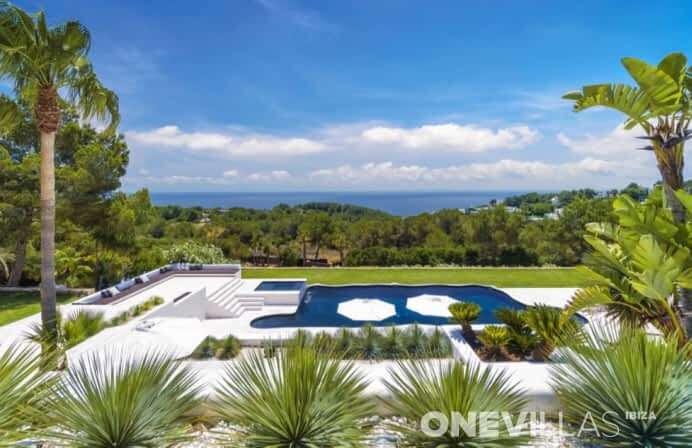 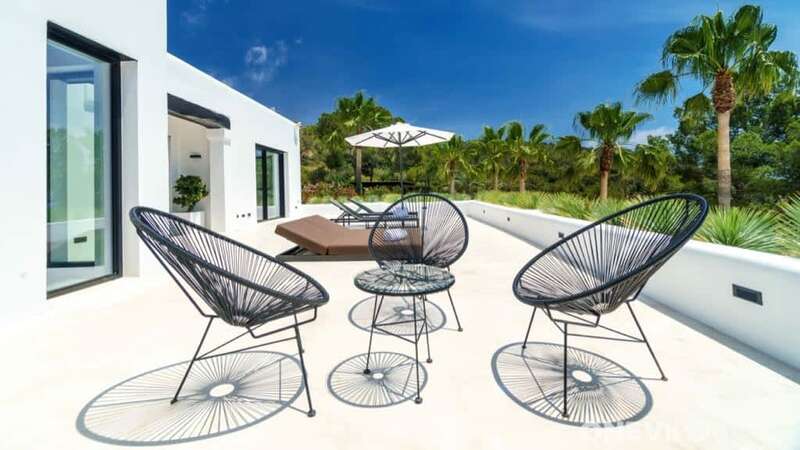 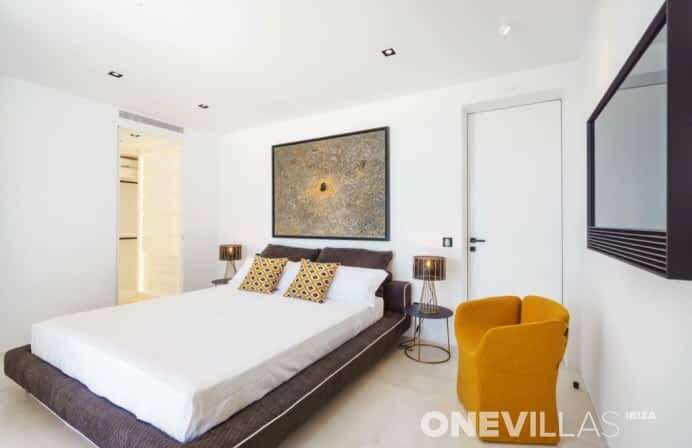 This exclusive, large and very private villa is located on a hill just 450 meters from the sea with spectacular views of the open sea and the island of Formentera. 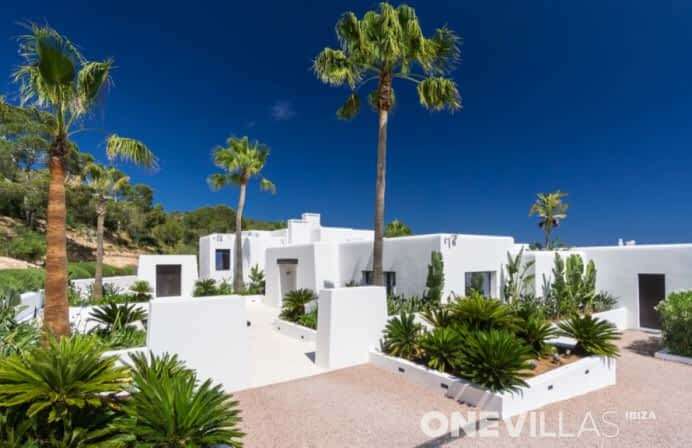 The property is located in a quiet neighborhood bordering Cap Martinet and the village of Jesus. 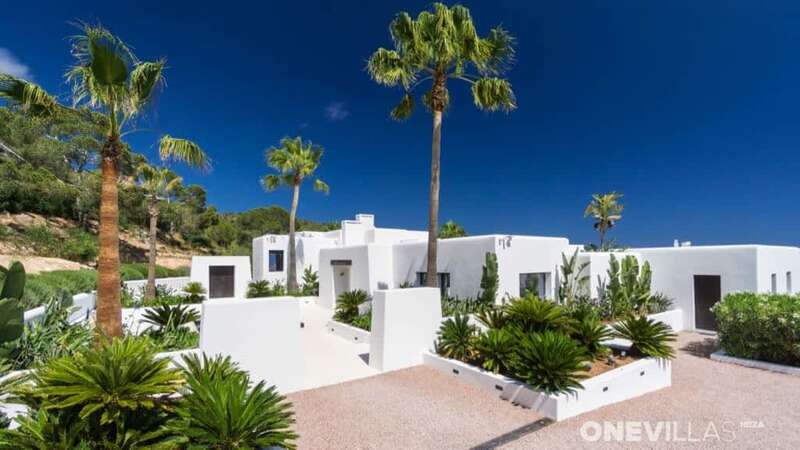 Some of Ibiza's best hotspots and secluded beaches are just a few minutes' walk away. 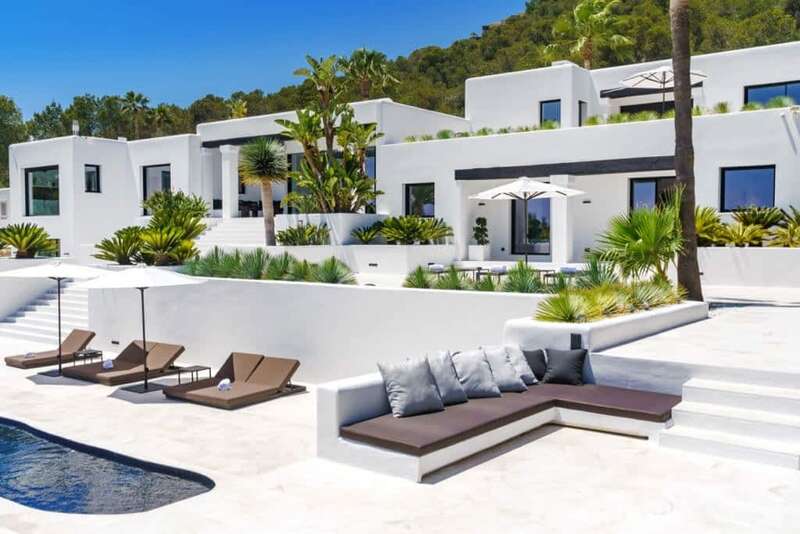 Ibiza Town is just a 5-minute drive away and, for example, the Pacha Destino Resort is only 800 meters away. 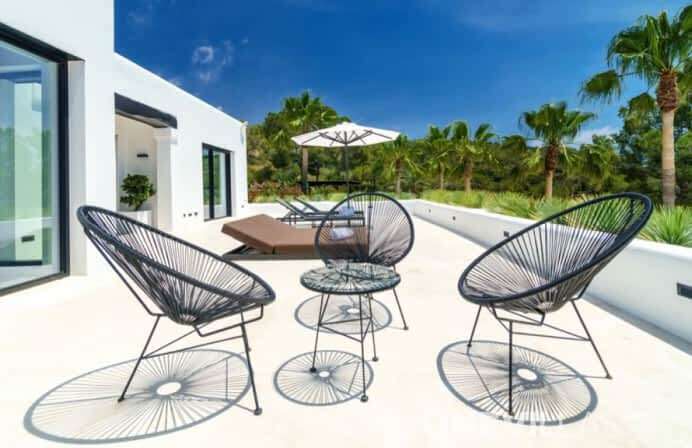 Villa Manya is also an ideal villa for customers who want privacy and security. 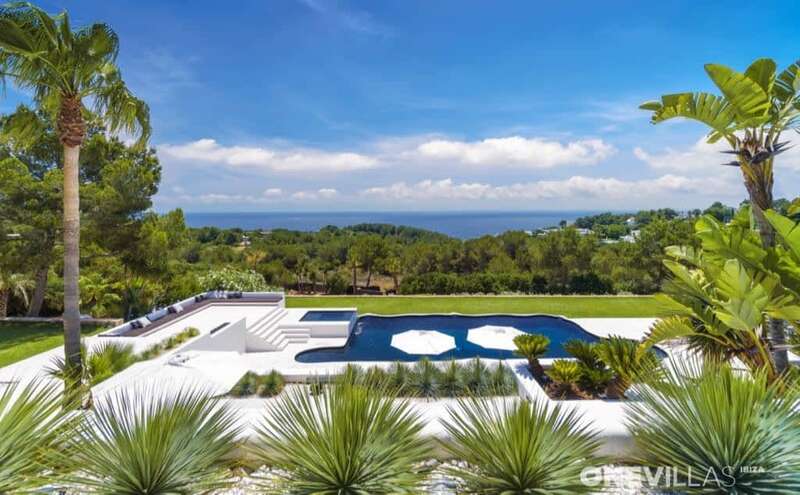 Due to its location, the plot of 15,000 m² has an almost flat and safe green garden, surrounded by pine trees and a high natural fence. 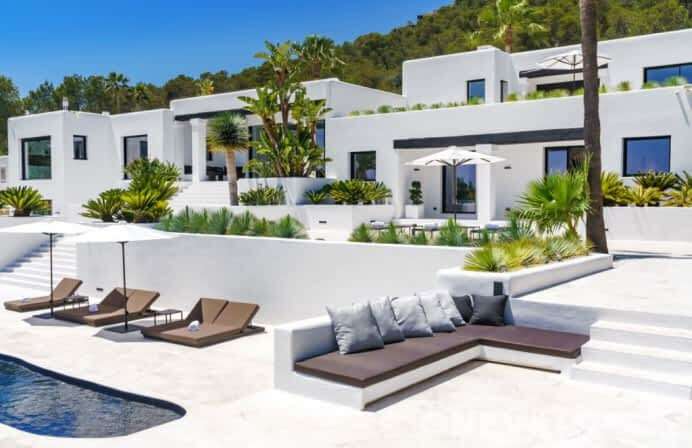 For a little extra safety there are 15 professional security cameras that monitor the entire outdoor area and the gate. 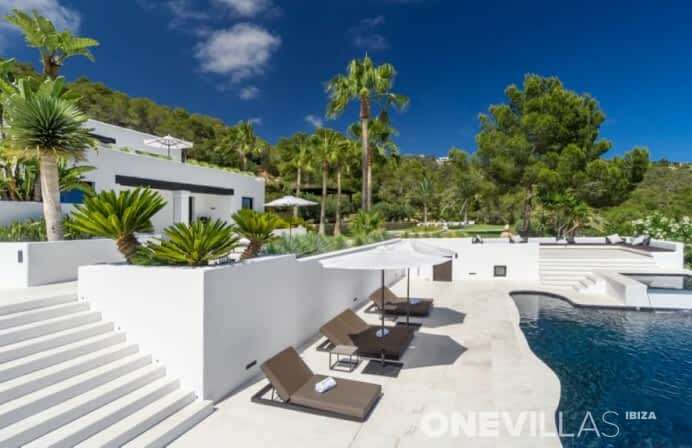 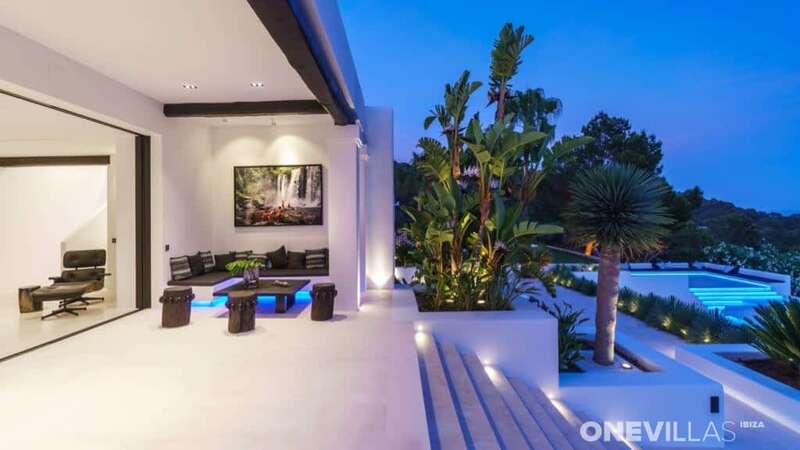 Villa Manya has 6 bedrooms, a large Bulthaup kitchen and a large living room. 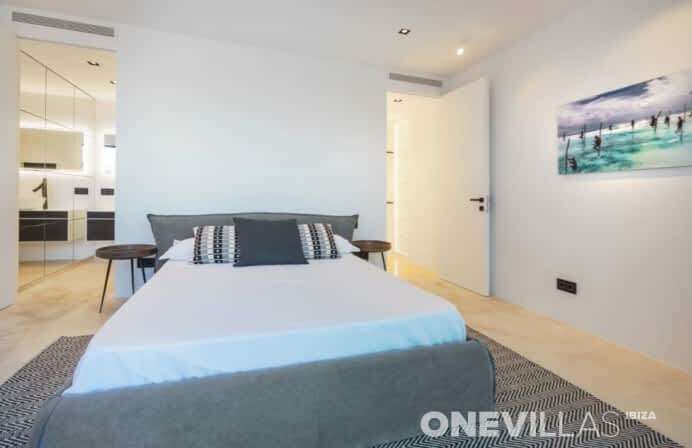 All bedrooms have direct access to the terraces and are all very spacious. 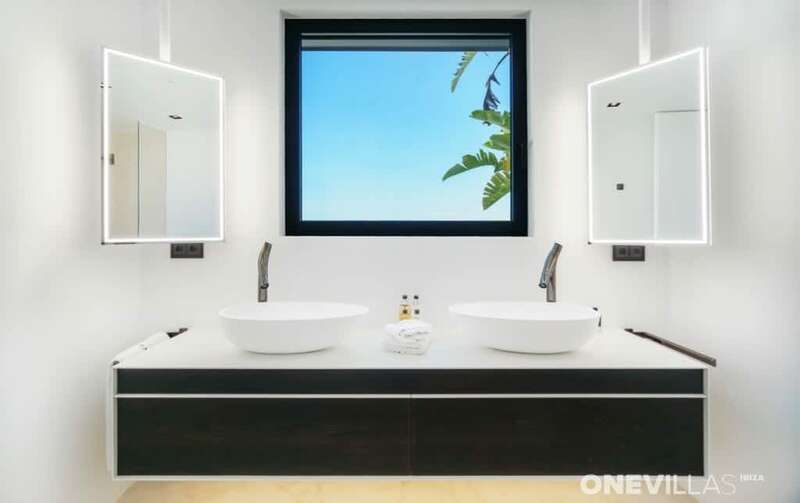 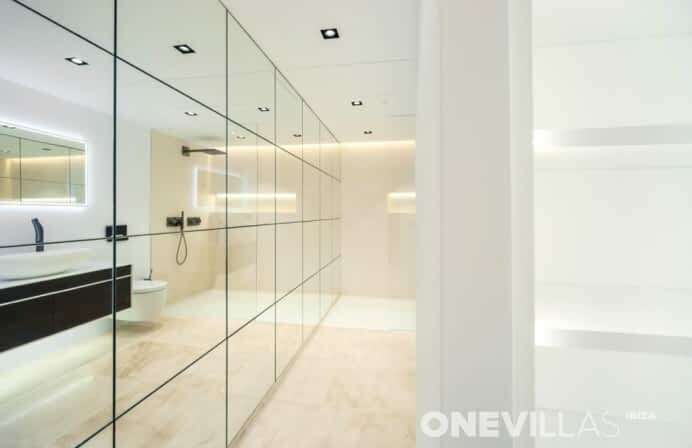 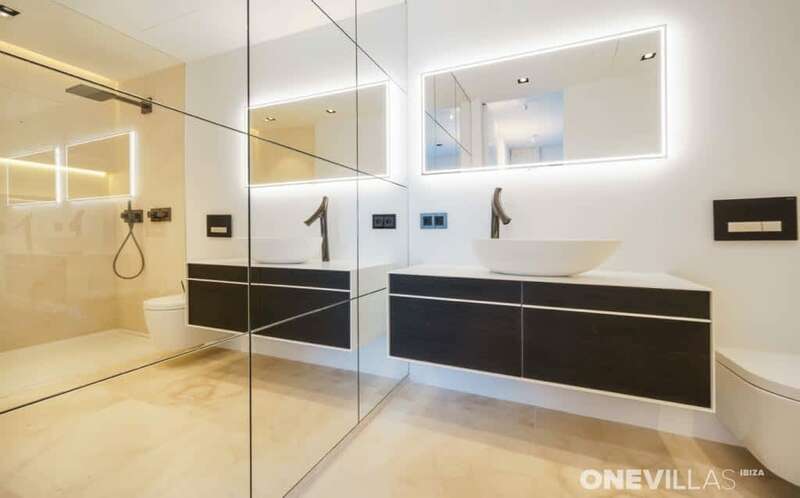 There are four en-suite bathrooms and a shared bathroom. 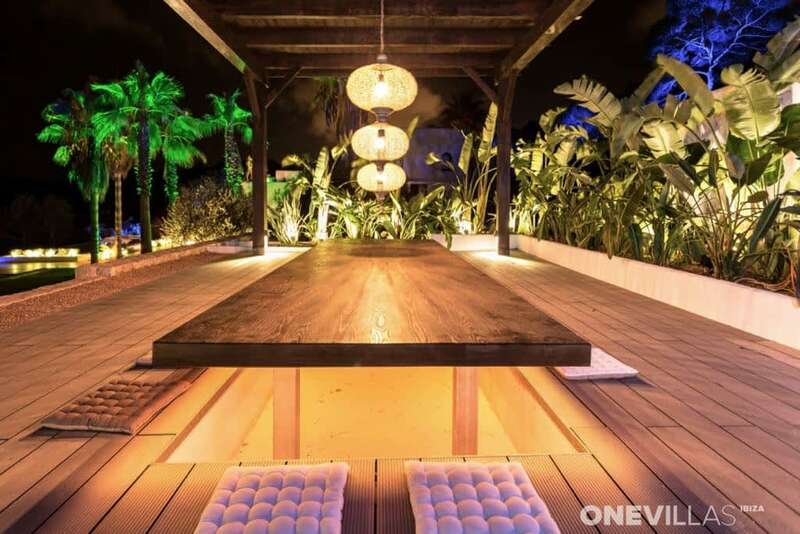 The villa also offers you an excellent outdoor experience at night. 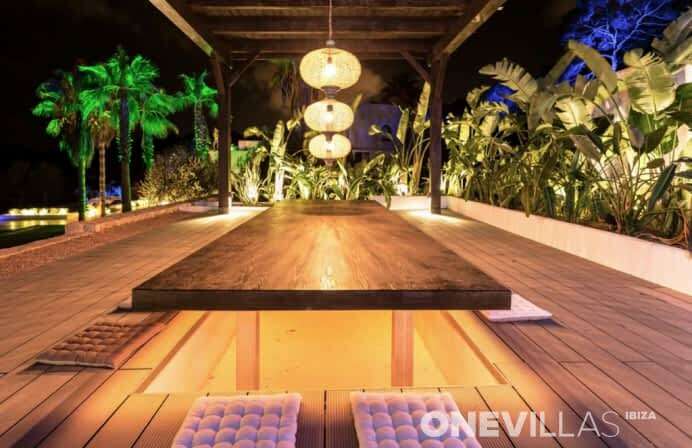 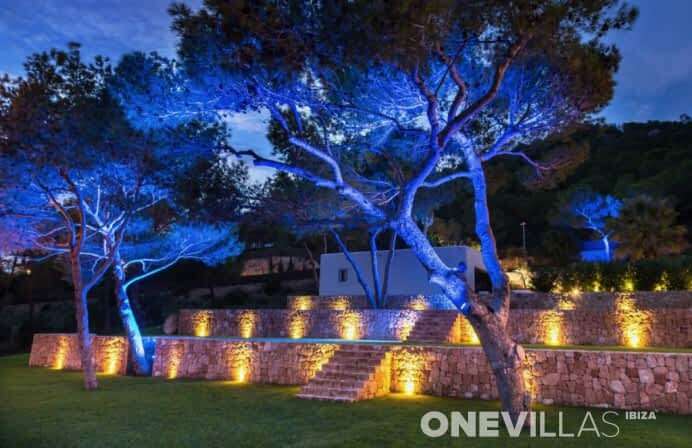 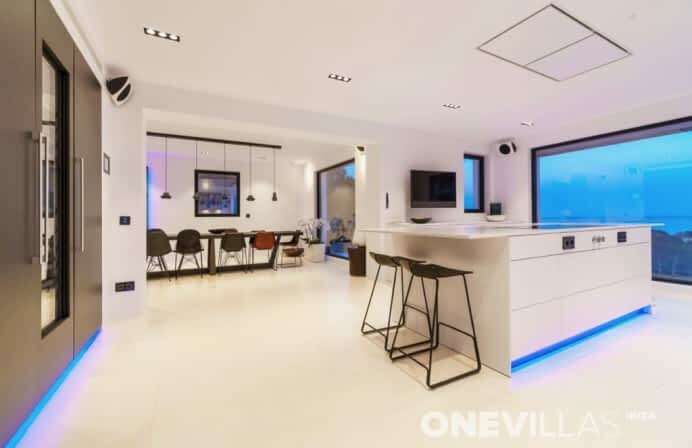 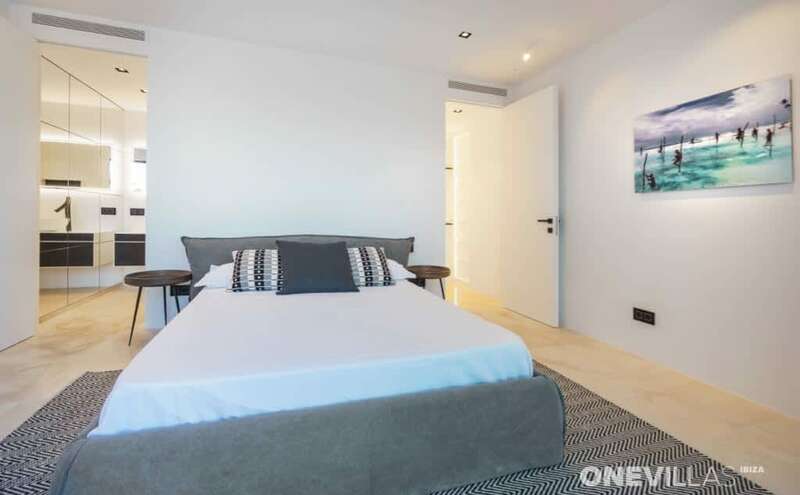 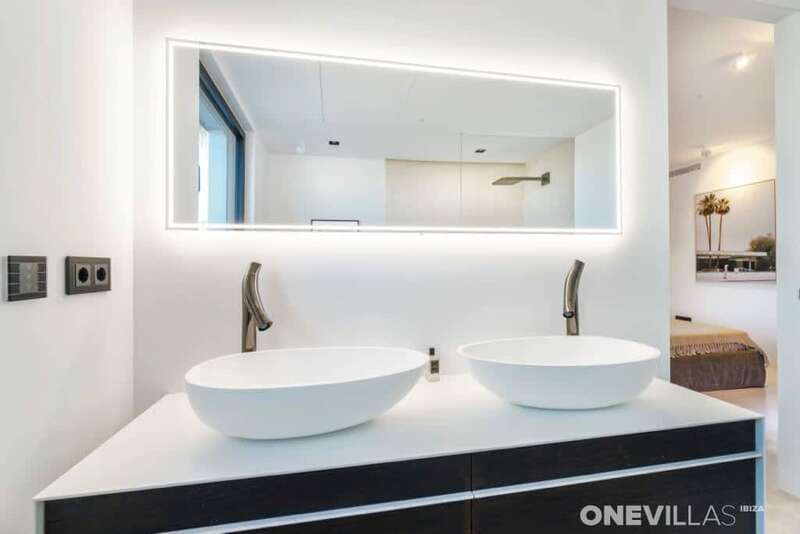 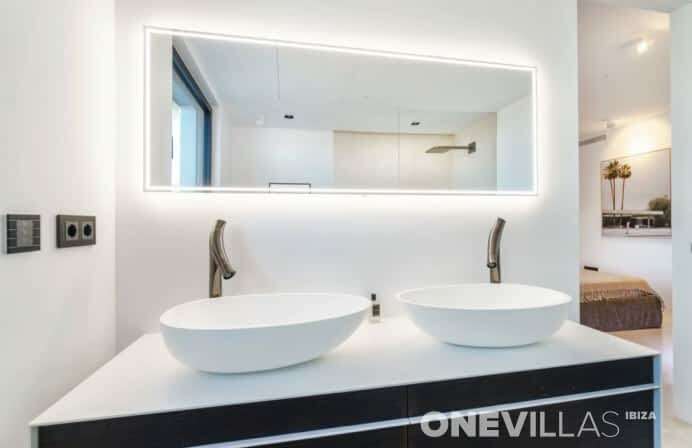 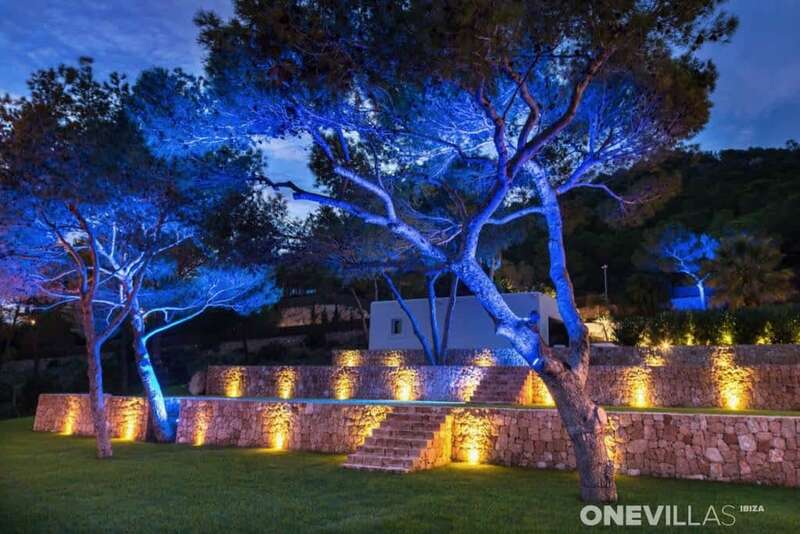 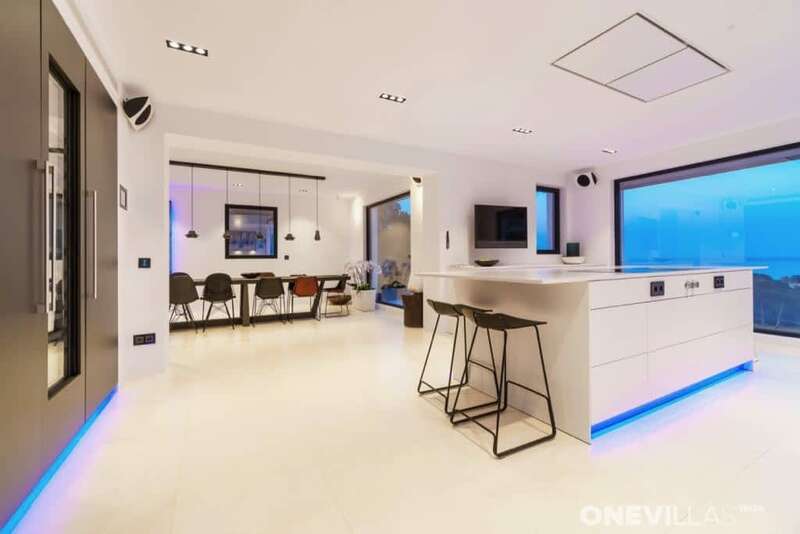 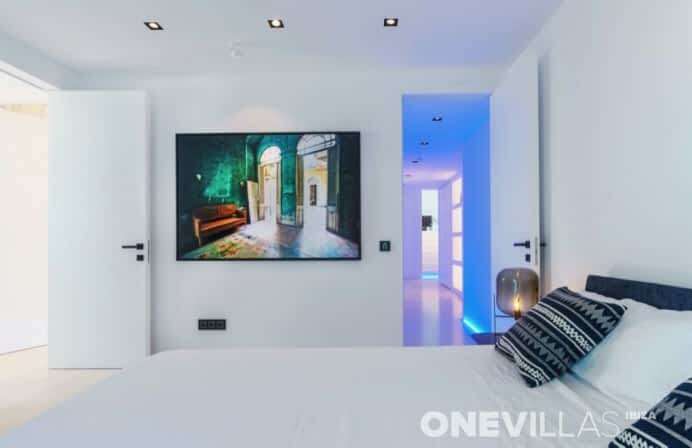 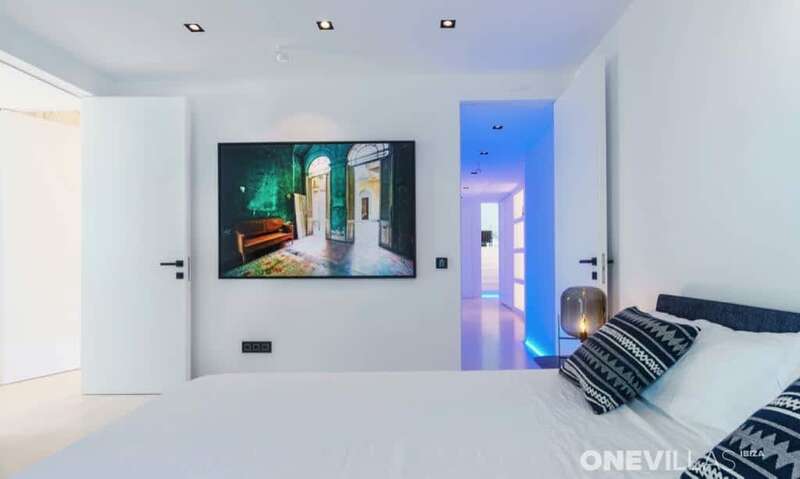 Numerous sustainable and environmentally friendly LED lights allow you and your guests to enjoy Ibiza in the evenings before going to your favorite restaurant or club.